The mounting impact of energy efficiency, and the political will to move fast towards renewables are evident in Europe. Nevertheless, analysts also agree that cleaner fossil fuels such as gas and LPG will maintain a critical role in Europe even by the 2050 horizon. While coal and oil are poised to decline, gas emerges as the obvious transition fuel, allowing to immediately curb CO2 emissions and address the air quality concerns raised globally by the dieselgate. What can the complementary roles of LPG and natural gas be? How can the industry embrace the renewable push? The choice for Autogas use is often driven by a cost-benefit analysis over conventional fuels – even if its environmental benefits are also well known. Making the LPG option attractive to drivers mainly depends on the availability of political measures aimed at supporting the fuel. When it comes to incentive policies, what works and what does not work in order to grow Autogas demand? What are the European Institutions and national governments doing to push for a higher uptake of Autogas? Who can name them all? LPG has many faces, including less common applications and uses which many would not even realize. As an exceptional fuel that provides not only fundamental energy but goes far beyond, LPG can drive pleasure and excitement indoors and outdoors all year round. What are these multiple faces of LPG? How can this versatility change your perception of LPG? Which new applications will you want to try tomorrow? Global LPG supply has been rising strongly over the past years and supply routes to Europe have been diversifying. Autogas and PetChem demand in Europe has been on the rise, and so has general LPG demand in Asia and Africa. Conversely, segments such as residential LPG in Europe have been struggling. Are these trends expected to continue? How are the markets reacting to shifts in supply? How can companies make the most of the new transport opportunities? 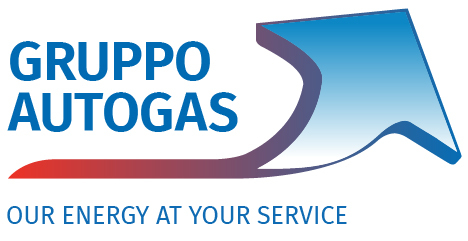 The LPG industry has regularly and successfully reinvented itself in the past. By doing so, it has been able to remain a pivotal player in European Energy discussions. Today, new policy challenges are emerging and LPG companies are, once more, reacting and positioning themselves accordingly. Which potential strategies should be followed in the future? What are the areas where companies are now investing? How can the LPG industry diversify in order to strengthen? In the end of each panel we will ask speakers to provide us with one big idea for the LPG industry. Now, it is time to put them to the test! The Conclusions Roundtable will discuss the solutions introduced during the two days of Conference and debate their merits. Don’t miss this original discussion, by a panel composed of industry experts from all horizons, allowing for a dynamic and holistic exchange of views.